Hitting 67k+ product sales on Teespring is an exciting achievement! *P.,* a seller who prefers to remain anonymous, traded in his boring nine-to-five office job to become a full-time Teespring seller. So how did he get to be one of Thailand’s top Teespring sellers? You’re about to find out. P.’s career plan was to be a computer engineer. During his first semester at university, he discovered Teespring and began creating products to sell. He didn’t have a lot of success but enjoyed testing new designs from time to time. After graduation, he got an office job at a tech company. After four months of the nine-to-five work routine, he was ready to try something new. His boss was unpleasant and the monotony of office work was unfulfilling. That’s when Panupong decided to try selling online. I realized that I hated having a regular office job, so I promised myself I would become my own boss—something I have always dreamed of. The next day I started building my Teespring business again, and this time I took it seriously. P. joined Teespring’s Thailand Facebook group where he was able to find lots of training material and network with other like-minded people. He began attending meetups with fellow Teespring sellers too. Since the beginning, I’ve attended all the meet-ups organized by Teespring Thailand. This helped me gain useful insight and listen to advice to apply to my own selling strategies. This knowledge helped improve my sales performance gradually and I think this is one of the main reasons why I have been able to become so successful. I am very thankful for our community in Thailand—everyone helps each other succeed. When it comes to Facebook pixels, I would suggest separating Facebook pages for each niche in order to accurately fire pixels for the right audiences. A/B testing is crucial to determining which ad sets should be scaled up or cut off. I primarily use WC ads with Lookalike audiences created from any events derived from my previous ads. He also makes sure to adapt all of his ad images for holidays—like Christmas, Valentine’s Day, St. Patrick’s Day, Mother’s Day, etc. I adapt my ad images if I’m focusing on a specific holiday. For example, during Christmas sellers should focus on promoting gift items or ugly sweaters because they are the most popular during this time of year. I’ve found incorporating a holiday theme to ad images helps increase ad conversion rates. I manually place my designs onto images using Adobe Photoshop and Illustrator. I don’t spend too much time on creating an ad image; I just try to make it simple but eye-catching so buyers can see it clearly. Above is an example of the type of holiday ad image I would use (from Pinterest). It’s easy to a incorporate holiday themes into ad images—and I can easily place my design onto the product. I use this same approach for Valentine’s Day, St. Patrick’s Day, etc. Ad images aren’t the only things that get an update during holidays and seasonal events. He says updating your ad copy is important too. I always update my ad copy to feature wording that reflects a particular season or event. For example, during Valentine’s day, I used short phrases like “the perfect gift for an engineer husband” or during Christmas I’ll add “your nana-claus will love this” to campaign descriptions, ads, or when sharing online. Just make sure to keep your ad copy and campaign descriptions short—this approach works best for me. Like many other successful sellers, He also uses a schedule or process when it comes to scaling and testing ad campaigns. I will increase my ad budget as much as possible during Christmas and other commercial holidays because this is the best time to sell. Do not give up if the cost of the ad is getting too expensive, test it out. When choosing ad placement, most sellers will only choose mobile feed and desktop. I’ve found other types of ad placement also bring quite a good conversion rate these days. Try Instagram or Audience Network and optimize them regularly for the best result. As always, retargeting is a must! There’s usually a seasonal dip after the holidays, but this means Facebook ads are cheaper too. These are some of the ways Panupong keeps his sales up during this time of year. The FB ad cost will be cheaper after new years, so I use this opportunity to run as many ad campaigns as possible. I also relaunch all of my successful campaigns (refresh) and send frequent e-mails/messages to all buyers with an attractive promo code. You can learn more about using the Buyer Message Tool and Teespring Promotions in the Training Center now. Speaking of Teespring Tools….20% of his sales last year came from Teespring Marketing. During the 2017 holiday season, Teespring’s Boosted Network drove about 25% of his overall product sales. I opted in to Teespring’s Boosted Network program since day one—I am a big fan of free sales. Last year Teespring’s Marketplace helped me boost sales up to 15-20% without spending on ad costs. This year Teespring expanded its integrations with global marketplaces like eBay, Amazon and Wish which is incredible! During the 2017 holiday season the Boosted Network drove about 25% of my total product sales. Despite his impressive success, P. remains humble and helpful. He is a valuable member of Teespring’s global community, and we’re so proud to be able to share his inspiring story. I’ve earned over a million dollars selling online with Teespring and have built a sustainable, passive-income on the platform with minimum effort. I have tried selling with many other POD platforms and finally found that Teespring is the best at providing customer service, not only in the USA but also in Europe, which is my main buyer market. Personally, I think the Boosted Network will become a primary sales driver for those of us in the industry, and eventually it will become more sustainable than Facebook. Until that moment comes however, I will continue to utilize both channels in parallel to drive my sales. I expect Teespring to continue providing good customer service and product quality that will make its listings highly ranked in Amazon, eBay, and any other marketplaces it integrates with moving forward. I am thankful for all the experience I have gained during this journey and I am thankful to Teespring for helping me along the way to contribute to my recent sales milestone. Where can I find more of Panupong’s work. This is incredibly encouraging. I recently started designing items to sell on teespring and haven’t had much success. I am just starting and was wondering if I was just not “good” at this type of work for some reason. But after reading this story, I think perhaps I need to invest more time into training and understanding how it all works. Very encouraging, and I’m looking forwards to applying these principles in 2018! To your continued success Panupong, I wish you the absolute best! First of all HUGE congratulations to Panupong!!! Reading this story I am both inspired, and firmly curious. I joined Teespring a little over 4 months ago. This was a good time heading towards the Christmas holiday season. 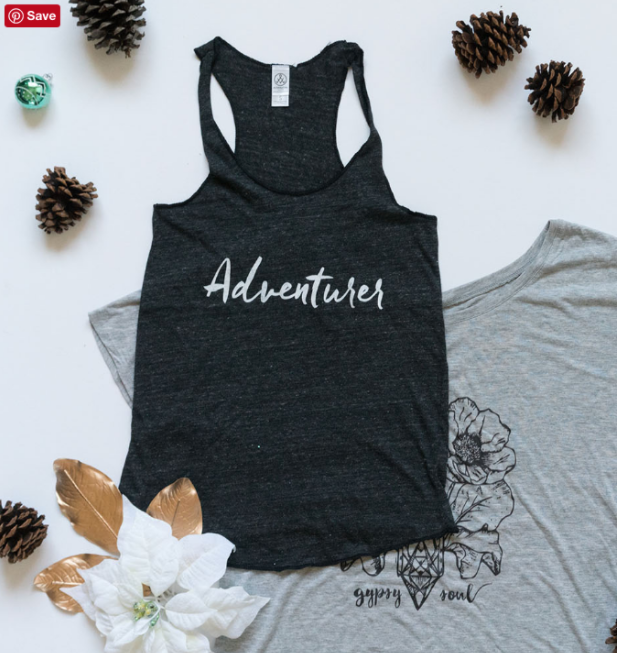 I picked a niche (gym & fitness) and launched a series of designs all incorporating the holiday theme. I uploaded for both US and EU fulfilment and set the parameters for Boosted Network. I used a combination of FB Ads both PPE and WC, placements on both FB and Instagram. Traction and reach were decent. Sadly over the course of the holiday and till today, I have recorded ZERO sales. Leaves me slightly baffled and wondering where I am going wrong. Try not to be disheartened, staying positive, and figuring how and where I should pick up from. What a hero. His story is marvelous.I hope he move on in this prospect. I have’t made a dime though. Impressive young man. Keep up the good work. So Awesome! Congratulations on your success! Very inspiring. Congratulations on to your success. Awesome! Congratulations! Hard work, perseverance, and research really pay off! I’m hoping to catch up to you soon! That is very inspiring!! i would love to follow his path. Bit of a slip up? Hey John, we’re only using his first name (or “P”) at his request, to preserve his anonymity. Thanks!